﻿ Such a clever little gadget, very simple to use and heaps of possibilities after a bit of practice. Another Hobby House Image card to share with you today . My card today is made with the cute Hobby House Images. 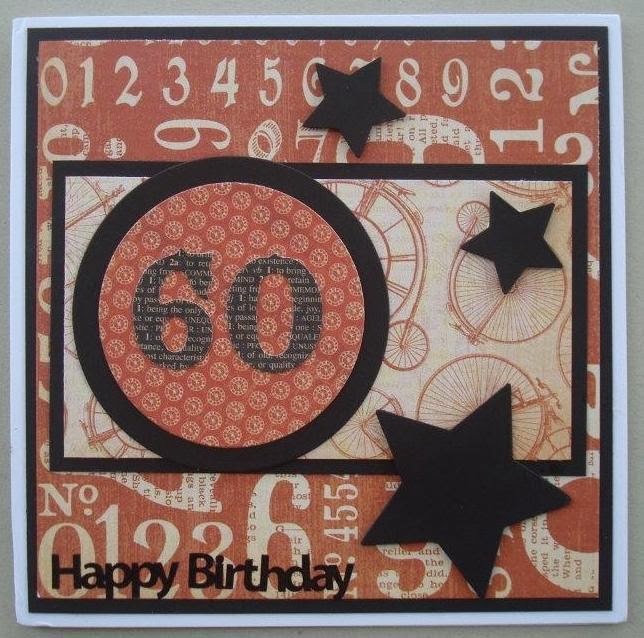 I have embossed the background card and used Spellbinders Captivating Squares behind the image as well as a Spellbinder tag and Sticker Store greeting. 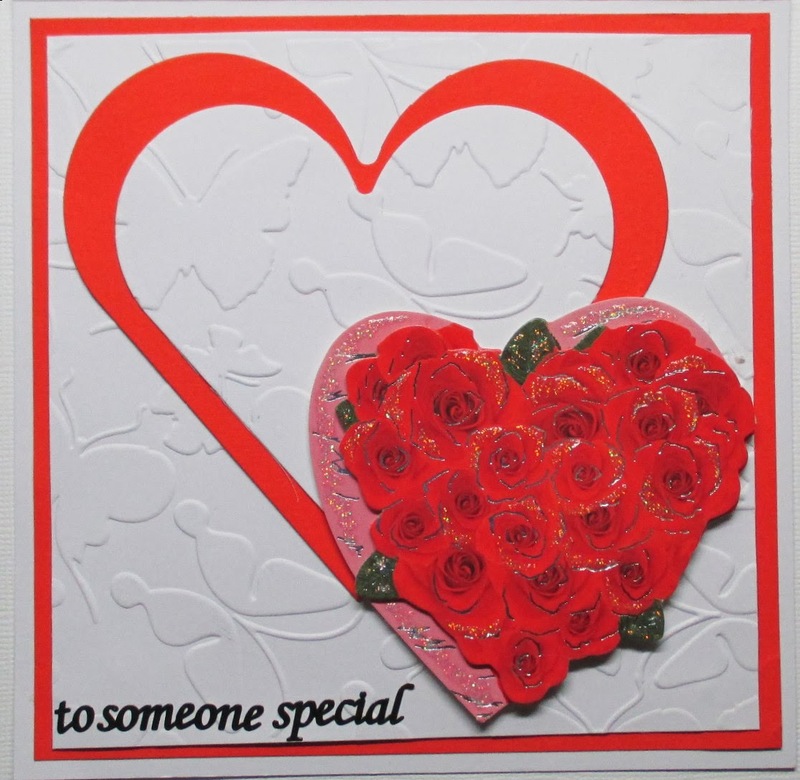 The last of the Hearty Crafts XL die cuts today. I think this was my favourite among the dies maybe because we really enjoy lighthouses. This week I would like to share some of the Hearty Craft XL dies and the cards I have made with them. I cut the card to the shape of the shoe for the second card, embossed the background and added a feather . I have added patterned paper and a Spellbinders die cut behind the train. Another gift box today and once again from SVG Cuts. This time an Apothecary Gift Box . This box is a larger style and adds the perfect touch to a gift. Todays card has a Craft Too embossing folder background ad Spellbinders Hearts with a Hearty Crafts 3D Topper and a Sticker Store greeting. Today I would like to show you a Valentines Day tag I have made highlighting Vivaldi Blossoms form Blue Edge Crafts. These blossom come in all shapes and sizes and colours so I am sure you will find one suitable for your project. I have chosen the Rose with Three leaves for my tag as well as Spellbinders Classic Hearts dies, bingo card ribbons, lace and gems. 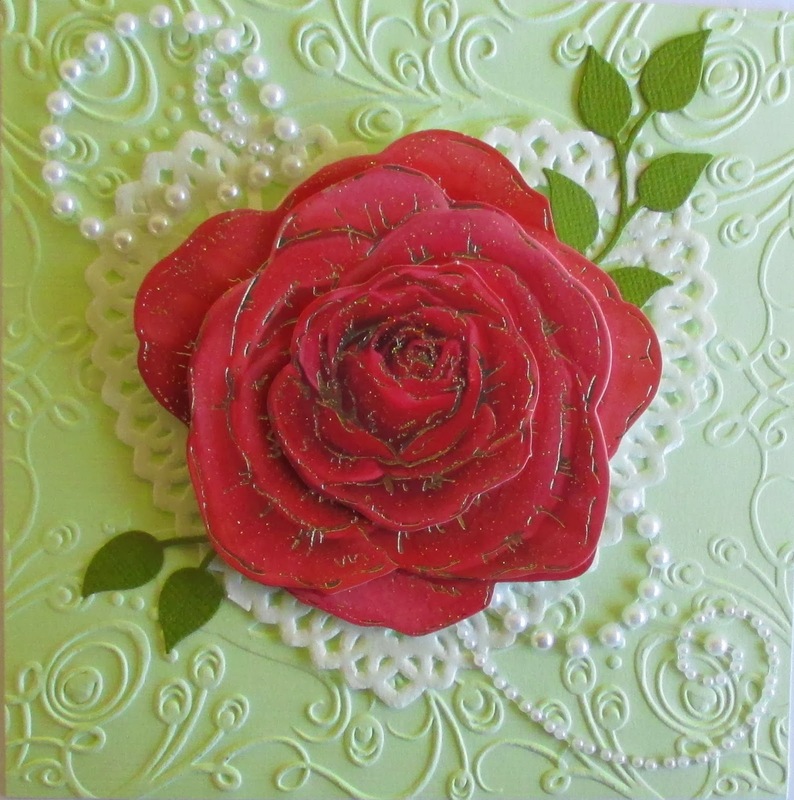 I have used and Embossing folder for the background and added a heart shaped paper doily and a Hearty Crafts 3d Rose topper, Spellbinders leaves and a Pearly flourish . Valentines Day is almost upon us so I have a couple of card to share with you in the lead up to the big day. I would like to share a birthday card I made for my brother recently. I have used Graphic45 papers and numbers and QuikCutz dies for the stars as well as a Sticker Store greeting. For my second card for this months swap I used Graphic 45 Secret Garden papers and motif, a paper doily and some ;lovely lace I received from my Secret Santa as well as Green Tara flowers. Happy Birthday to my brother Eric who is celebrating his special day today. I thought this clock was the perfect gift for him. 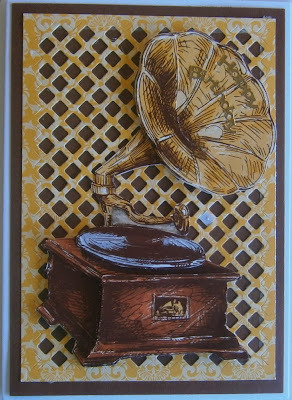 It is from a SVG Cuts kit and I have used Graphic 45 French Country papers. Our Craft Mad Christmas All Year Round Sketch Challenge continues. This is my sample card for the month. I have used Graphic 45 12 days of Christmas papers and motifs. Time for the February Card Sketch Challenge at Craft Mad . This is my sample card for the month. I have layered the base card with Bo Bunny paper and added a motif on some ric rac braid as well as an alpha greeting and a butterfly.